We’re down to the final four after Spangenberg’s victory in “The Rebound”, who gets your vote? 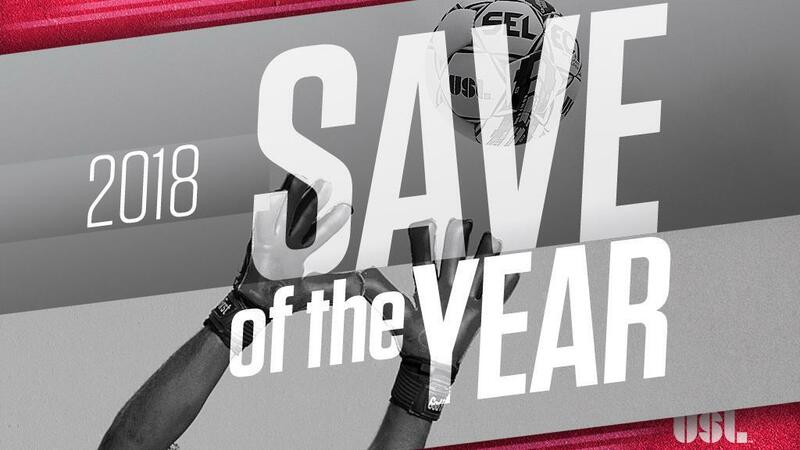 TAMPA, Fla. – We’re down to the final four contenders for the 2018 USL Fans’ Choice Save of the Year, with the Richmond Kickers’ Trevor Spangenberg earning victory in “The Rebound” to join the three Second Round-winners for a chance at the title that will be decided by a fan vote on USLChampionship.com. Spangenberg claimed 39 percent of the vote over the past two days to earn a rematch with San Antonio FC’s Diego Restrepo for a place in the Final, with Restrepo having edged their Second Round meeting by a 54-46 percent margin. The Charleston Battery’s Joe Kuzminsky and North Carolina FC’s Alex Tambakis will square off in the other semifinal, bringing a Southern Derby flavor to the matchup between the two Carolina rivals. Voting will continue through 12 p.m. ET on Tuesday, December 18.